Au is not well so we're off to the vet in a few hours for a complete physical including blood tests. Please purr for us. Better news is that I've earned the cat biscuits for this month. 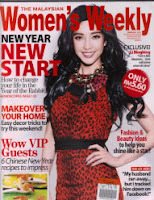 If you're in Malaysia, check out the February magazines for my latest features: in Malaysia Women's Weekly I found my runaway husband on Facebook - and discovered he had a second family!, in Cleo the quiz Where To Shop For Your Ideal Man, and in Her World Have A Laugh! It's Good For You. As I'm up to my ears in work, I'm rereading old favourites, particularly Georgette Heyer whose books are being reissued at present. Heyer (1902 - 1974) wrote murder stories set in her own time, and Regency romances. She was a genius at both. The first I ever read was Cotillion, an ancient hardback that I found sitting in between Jane Austen and Charlotte Bronte in a second hand book shop some years ago. I'm not too fond of regency romances written today but Heyer's work is exquisite. It's light, funny, and researched down to the bone so you won't find ladies pretending to be maids or anything silly like that. The first detective of hers I read was Envious Casca where Inspector Hemingway of Scotland Yard tries to solve a mysterious stabbing that takes place during a Christmas party held in a country home. Really, if you want something well written that you can sink into, check out Heyer. Here are links to her pages in Amazon US and Amazon UK. And don't forget to check out my book Blackmail Bride, a tale of passion and mystery set in Scotland. Price RM7.56/US$2.32. 10% goes to Friends Furry Farm, a no kill animal shelter. My sisters and I are all purring for sweet Au. Please update when you know something. the first time i heard and discovered 'cotillion' was about 10 years ago in a novel. but when i see the word in print marion cotillard always appears in me head. Oh Au--we are getting all kinds of sick kitties today. You must be well. We will add you to our purrs. We're sorry to hear that Au is not doing well. We are purring and praying. Please update us when you are able! Giant purrs for Au...we sure hope he will be OK! Mommy LOVES Georgette Heyer! Her prose is unmatched, and I think her dialogue is perfect. How fun that you're another fan! We're sending Au lots of purrs! We hope he gets well soon! I hope Au will be okay. We will definitely say some prayers. It is so hard when our furry ones become ill. That's when I really wish they could talk and tell us what they feel like. We will be hoping for good news. I hope Au is doing better now! we hope Au is okay. We'll be hoping for good news. Purrs for Au. i am sickly too and has an appointment at the vet's this evening. Heyer was and still is one of SS's favourite writers. She has a witty and entertaining style. Great for a light read. Purrrrs and prayers to Au!! Get well quick!! I will definitely purr for Au. I hope his trouble will be over soon, and there is a simple eplanation for him not feeling well. Au dear, get well soon, OK? purrr....meow! I am purring and purring for Au to get well soon. Heyer sounds like an interesting author. I will keep her in mind when looking for something to read. We are so sorry Au is not well - please let us know what the vet says. We are sending luv & purrs. Large rumbly purrs heading over to Au, we hope he feels better soonest! We are sending our loudest, strongest purrs for Au! Please do update us asap. We are purring for you. Hope Au is OK! Sending lots of purrs. 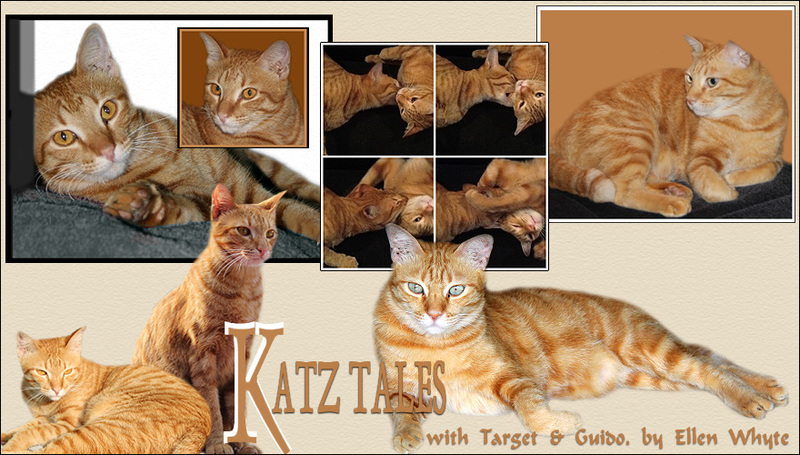 We are purring ofr Au to have something easy to treat and a quick recovery. We are purring for Au. We hope he feels better soon. Au, sending loves and purrs to you and I won't forget you for a second. Ask Mommy to let us know how you are. Mommy said to say she also has always loved Gogrgette Heyer's regency romances, Exquisite use of the language. Unparalleled. oh, blessings on you, dear au!! we purrs an' purrrays that you will be good-better-best in no time at all!! We are sending good energies to sweet Au! Au!! You must get better fast!! The Teenage Mutant Ninja Kitty Horde & their Feeders are sending a gazillion purrs & prayers!! hope au feels better soon! purring really hard (for au) it's alarming people around me. Purrrrring for Au. Hang in there, kittie. We're revving up the purrs for Au! Please get better Au. "The Boy" and I are adding our purrs for Aug to your ever-increasing stack of them.